Forever Living Products Review - Who Are Forever? Forever Living Products or FLP for short, also referred to as the Aloe Vera company are a multi-billion dollar company in the health and wellness market, with their head office in Scottsdale, Arizona. 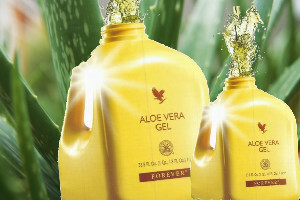 They are the largest growers and manufacturers of aloe vera and aloe vera based products in the world today. Started in 1978 with just one product – a few bottles of aloe vera gel, the product range today is greatly expanded and includes, drinks, weight management products, nutritional supplements, products to help with sports performance, personal, beauty and skin care products and cosmetics. Forever are also among the largest beekeepers not only in the USA, but the world, with hives located high up in the desert, far away from pollution and other contaminants, ensuring their bee products are of the highest quality. The aim of this review on Forever Living is to give some information about the company, cover a little of it’s history and try and cover questions such as is Forever Living genuine or is Forever Living a good company. The man who started Forever Living all those years ago with little more than a dream and a belief in a better life, is Rex Maughan, and he is still the CEO of the company today, with many of the same members of his management team that were right beside him from the very beginning. His son Greg has also worked along side him since Rex is originally from Idaho and grew up on a farm where he learned from his father what hard work was all about. He told him that “a lean purse is easier to cure than endure”, that if you want money, you need to go and do something to earn it. After graduating from The Arizona State University’s School of Business, Rex entered the world of corporate America and held the position of Vice President of the Del Webb Corporation among others. He has extensive knowledge in real estate, taxation and auditing as he knew these were areas that would be important to him in realizing his dream – which was to help people in the two areas that can really change lives, financially and with better health. Rex knew there must be a better way to earn a living while doing something worthwhile, and being a man of vision as well as having a big heart, he looked for a way to control his own destiny and make a difference in the world. Through a combination of finding the right product – aloe vera and a very clever marketing plan, Forever Living Products was born. The company now spans the globe – with distributors in over 155 countries. 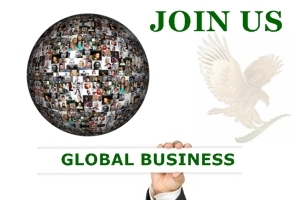 FLP has provided individuals from all over the world with an opportunity to change their lives for the better through using top quality aloe vera products as well as having the opportunity of being in business for themselves – a business with little risk, where you can do as much or as little as you want but one where there is unlimited earning potential. 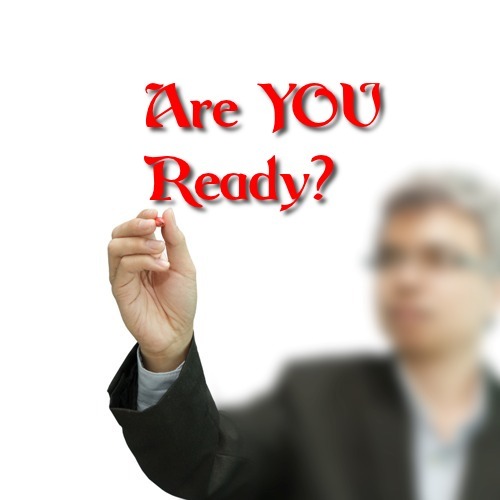 A question that people often ask is – is Forever Living a good business? 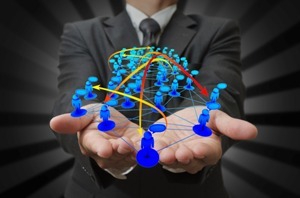 Forever Living use a marketing strategy called MLM or multi-level marketing. This type of marketing, also called direct selling, uses a network of distributors as its sales force and those distributors get compensated on multi levels, ie for both the sales of individual products and also for sales that their team members generate. Single-level marketing in comparison is the opposite and a business model we are all familiar with – where an individual is compensated one time per sale or per action – the typical 9 to 5 job – work once, get paid once. Surely getting paid several times is the more attractive option? Right? You would imagine so, however there is a lot of negative press associated with multi-level marketing – like it is a scam or it doesn’t work and it is understandable that one might wonder if indeed such an opportunity is legitimate. There are LOTS of companies out there who choose this business model to market their products, but who perhaps may not have the same set of values or ethics as Rex Maughan and FLP. Some companies might encourage people to join them at the start up of the company – to get in on the ground floor so to speak but unfortunately they fall by the wayside for various reasons. Some companies also sell the dream itself – promises of fantastic wealth without having to do anything at all while parting with large sums of money, something which is illegal. Some of the more well-known MLM companies that people might be familiar with include Kleeneze and Betterware and both of these companies are well established, having been around a long time. 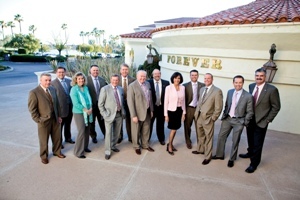 Does The Forever Business Work? 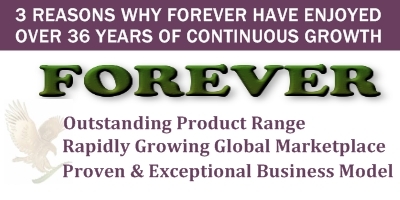 Forever Living Products has itself been around since 1978 – it has a proven, verifiable track record. Each year, sales are up on the previous year as more and more people get to know and use aloe vera products. The company continually adds to its product range in order to help their distributors meet consumer demand for quality health and wellness products. They also strive to make improvements to their existing product range in conjunction with further advancements and breakthroughs in science and nutrition. They don’t simply market any old thing either, with many of their products taking years to develop. Forever Bright tooth gel took 7 years for example to bring to market, testament to the quality of the product. With any company you are interested in, it is always worth looking at who makes the money, where does the cash go? With Forever – a multi billion dollar company, you might be surprised to learn that there are no shares or investors – the company is cash rich. Everything Rex and his management team want, they buy with cash including head office buildings in the various countries they are operating in. A large part of that cash is also paid back in the form of bonus cheques to millions of distributors around the world as well as in other incentive schemes such as trips abroad. You are simply rewarded for the efforts that you make and very generously too I might add. The Forever Living company also recognize their responsibility to the environment and set up an environmental sustainability program in 2006 to monitor their recycling and waste generation. Their carbon footprint is a positive one as with 40 million aloe vera plants, they are able to convert 2 million tons of CO2 into oxygen every year. Charity work has always been a big part of Rex’s life and he has founded schools in the Samoan Islands. In fact the people there have awarded him the High Chief title of ‘Tilafaiga’ for his efforts to save the rainforests. He has supported many other charities and set up Forever Giving in 2009 enabling all those involved with FLP to donate funds to support global relief efforts. Is Forever Living A Scam? Forever Living offer top quality health and wellness products and a real business opportunity to anyone from any walk of life. They do not make any bold claims and there really is no scam element involved. A couple of reasons why people might wonder if Forever is a scam is that they are not familiar with the MLM business model and may be suspicious because it is something different. Another reason could be that the rewards and incentive schemes on offer may be perceived as “too good to be true”. I can assure you that they are real and open to all distributors but you must earn them. As with any worthwhile business, it takes work and commitment to succeed – there are no short cuts. It is also worth bearing in mind that a home business with Forever Living Products will not suit everyone. If however, you want to take control of your life, have more time and the freedom of a home based business and you are willing to work, then this could be the business for you. Living in the digital age has many advantages but there are also some drawbacks when it comes to online reviews. Any business, product or service usually has some negative aspects since we are all individuals and not every thing suits everyone. You will even find if you check out product reviews on the largest online retailer amazon.com, that you can find a product where an overwhelming number of people have left positive reviews and the product could even be a number one best seller – but you will find those who say that it is pure rubbish or does not work for them. Have you ever wondered why this is? The important thing when making a decision is to have an open mind to start and then establish the facts and when it comes to FLP – it is no different. 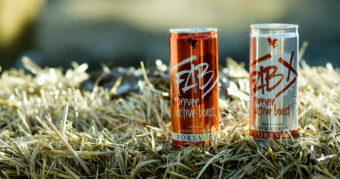 The company have a verifiable record – fact and several thousand people have set up in business for themselves around the globe with the backing of Forever. The real question now to ask yourself is do YOU want to be your own boss and have your own home based business with Forever? The marketing plan is a blueprint for success – anyone can follow it. Is it right for you? Until you find out what is involved – who knows?! All you need to do now is get in touch – I am always looking for people to join me and I love to share this incredible business with everyone I can! You can also find out my reasons for joining Forever here and why I believe it to be the best company to work with. Next story Forever Living Aloe Vera – What’s So Special?